Stores like Nordstrom,Target, and Macy’s are offering big sales to compete with Amazon Prime Day that will start tomorrow! 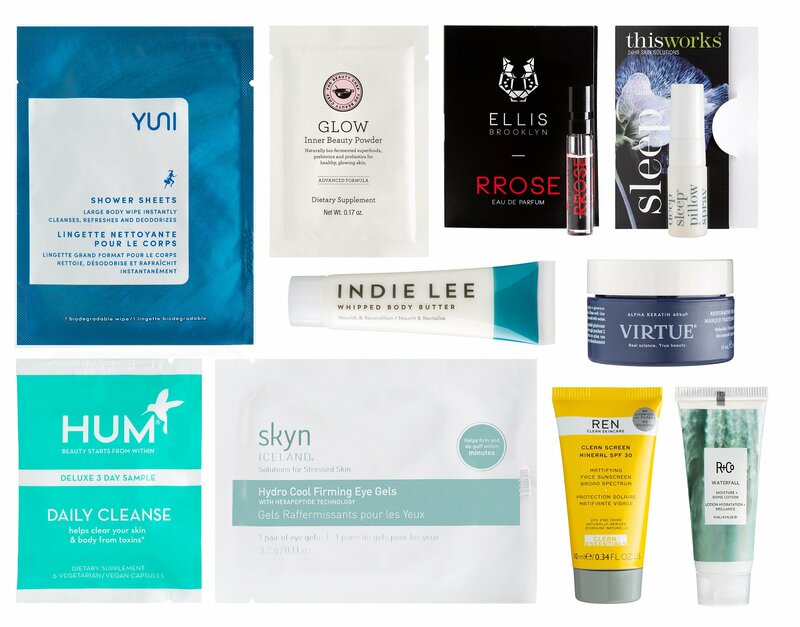 Here’s the top 10 new beauty deals you can score right now at Revolve, Space NK, Cult Beauty, Clinique and man more! Or 4 installments of $37.50 by using AfterPay. See Revolve Best Seller beauty items here. Revolove is offering so many Revolve limited edition beauty boxes. Free shipping and returns on any order. Target (Upcoming) On July 17, 25% off beauty and personal care. Also, if you spend more than $100, you’ll get a free six-month membership to Shipt, Target’s same-day delivery service. Space NK US (LAST DAY) GIFT 1: Use IcanGWP summer exclusive coupon: ICANGWP to receive $75 off your order when you spend $350, ends 7/15. They bring up to 75% off sale page back (combined with other offers)! GIFT 2: Alternatively, SPACE NK BUY MORE, SAVE MORE: Take $25 off when you spend $150-$249.99, Take $50 off when you spend $250 or more in Space NK. Automatically applied to Shopping Bag. Offer valid online and in-store July 12th, 2018-July 15th, 2018. Visit gift with purchase offers at Space NK here. Choose your deluxe gift at checkout (not combined with GIFT 1 but okay for GIFT 2). GIFT OF THE WEEK – Receive a complimentary Grapefruit Face Cleanser (1 oz), rightening Enzyme Mask (0.24 fl.oz) and Vitamin E Face Moisutriser (1 oz) when you spend $65 on Malin+Goetz – no code needed. Smith & Cult + By Terry + Kevyn Aucoin are on sale up to 75% off! Adore Beauty Australia (NEW) With any $120 purchase, choose a free 4-piece luxe goodie bag. See this page for all coupon codes. Free shipping on all Australian orders. Two free samples on any $50 order. Ship to US, Canada, UK starts from $6.95. Clinique (NEW) Through July 21, 2018 or while supplies last. Spend $45 and pick 5 free minis at checkout. No code necessary. (1d) Affiliate exclusive: Free 7-piece Summer Gift with Any $45 Purchase. Use Code SUMMERGIFT. Offer Valid thru 7/20! (NEW) Free full size Turnaround Serum (30ml) with any $55 purchase via coupon code “DMFULLSIZE”, ends 7/16. (HOT) 6pc Clinique My Happy Discovery Set $8. With any $27 moisturizer purchase, get a free full size BIY ($33 value). 7pc Clinique Starter Kit $10 – This one-and-only Starter Kit comes with an extra treat: $10 off your next Clinique purchase + 5 best sellers to go. Plus, enjoy two complimentary bags. Clarins (NEW) GIFT 1: Flash Event! Free 9-Piece Best Sellers Gift with any $100+ order. A $133 Value! Use code: FLASHGIFT18. Valid 7/15-7/18. Choose 3 extra deluxe samples at checkout. Free shipping on any $75 purchase or add $5 shipping fee. Cult Beauty (NEW) 20% off all primer, don’t forget that you’ll get approx 17% off for non-EU shoppers. 3d) See Cult Beauty brand specific gift with purchase offers (no coupon needed) this week. You may try promo code YOU15 to get 15% off £20 purchase too (when you sign up to their newsletter). With any £50 order, receive luxury free samples at checkout. Standard Delivery is FREE worldwide on all orders over £40. United States: FREE SHIPPING on all orders over £40. David Jones Australia (NEW) Receive your bonus 8-piece gift† with any Estée Lauder purchase of $75 or more. See beauty sale page here. Ship to Australia only. Free shipping on any $100. Darphin (NEW) Through 7/20/2018 or while supplies last. Create your 5-piece deluxe size customized gift at checkout with your order of $100 or more. No code needed. (1d) Get a Free Full Size Cleansing Water with $75 order use code BASTILLE. Try: use code WELCOME15 to Get 15% Off Your First Purchase or use code WELCOMEBACK to Get a Free Best-selling Travel Size Duo with Any Purchase + 2 Free Samples + Free Shipping & Returns. Estee Lauder (NEW) Through 7/16/18 at 11:59 PST or while supplies last with a $75 or more purchase use code SUMMERLOVES18 to get free 5pc Aerin’s top-rated fragrance. Last Chance! 50% Off Select Favorites. Seasonal favorites, limited edition shades & more. Hurry—shop before they’re gone. Visit esteelauder.com for details. Free Shipping, Every Day. See more Estee Lauder coupons and promotions here. Plus, free sample every $25 purchase – up to 6 free samples from Estee Lauder. Plus, member will get 15% off with any purchase use coupon code “ELIST15” (free to join). Ole Henriksen (NEW) runs 24-hour flash sale 50% off. (NEW) Use code STARTCLEAN to get a free cleansing wipe on any purchase. Get Free Shipping on your order. No Minimum use code FREESHIP. Walgreens (NEW) $10 Off Orders $60+ Sitewide with code 10OFF Date: 7/15-7/21. (NEW) Get 10X Points when you spend $20+ Date: 7/15-7/21 (6d) Extra 15% Off Orders $50+ for New Account Signups with code 15WELCOME, Ends 7/31. (6d) Buy 1 get 1 50% off beauty, sale and gift with purchase — over 3000 items! Walgreens online deals. clip the coupon here!